If you’re lucky enough to have gotten Hamilton tickets (or Elf or Miss Saigon) at DPAC, you know you’re in for a special evening! And what better way to kick off a great night at the theater than with a great pre-show meal. 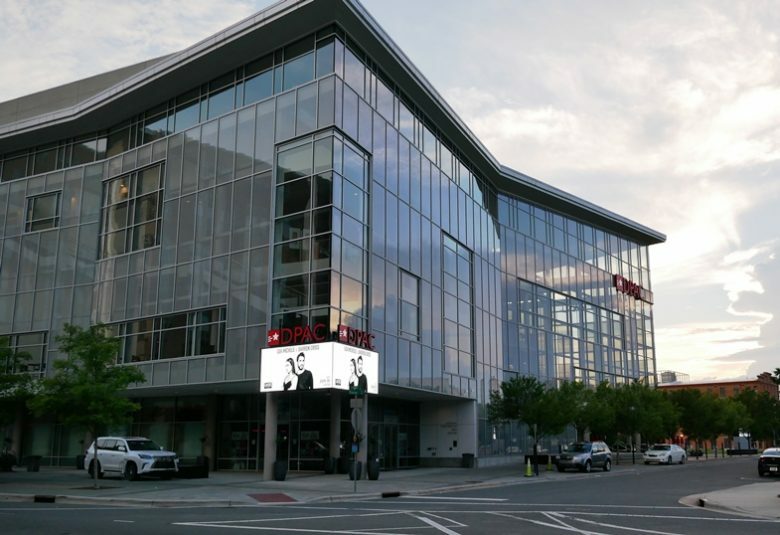 And not surprisingly, there are a ton of great eating and food choices near DPAC ranging from Mexican nouveau, casual Italian sandwiches, Neapolitan pizza, gourmet burgers and much more. 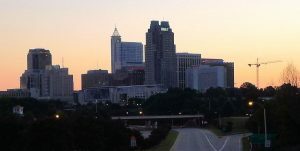 And all of these great restaurant options are within walking distance of DPAC in three primary areas around Mangum Street, Five Points and the American Tobacco Campus! 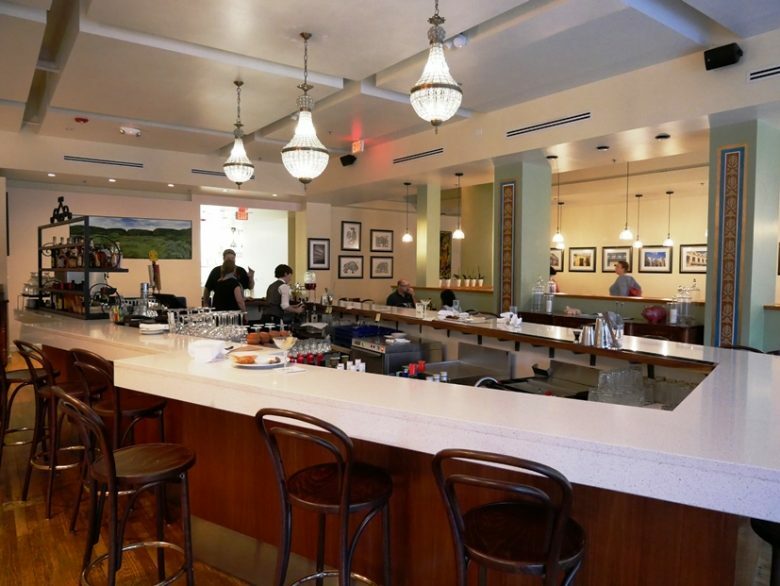 Check out each neighborhood and its dining options below, 20 in total. Right across the railroad tracks you’ll find 6 great restaurant choices around Main Street and Mangum: Alley Twenty-Six, Bull City Burger and Brewery, COPA, Jack Tar and the Colonel’s Daughter, Luna Rotisserie, M Kokko, M Sushi, Pompieri Pizza and Rue Cler (on the map in red)! Alley Twenty Six has been a Durham classic for many years, starting off as a cocktail bar and then expanding into a full-service restaurant. 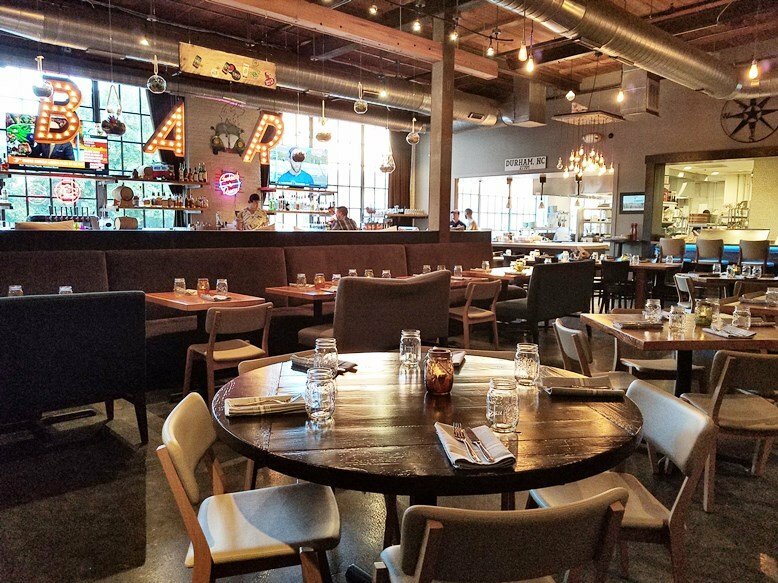 With a bright and modern interior, the menu at Alley Twenty Six matches the decor! A great selection of bites, charcuterie along with small and larger plates will whet your appetite before the show. I’ve tried the cornmeal fried oyster along with a burger here, good, high quality bar food. And obviously you can’t miss the cocktails here at Alley Twenty Six, they are good but pricey. So enjoy Alley Twenty Six for dinner or just a cocktail, I think you’ll be pleased with either side of this business! 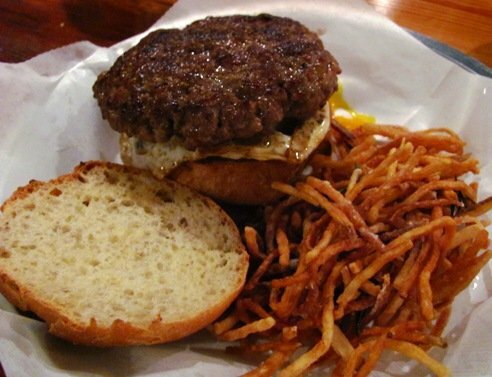 First up is Bull City Burger & Brewery , a cool and casual dining spot! 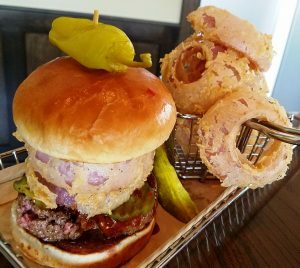 Bull City Burger & Brewery spins out fresh beer brewed on the premises along with top-notch gourmet burgers. 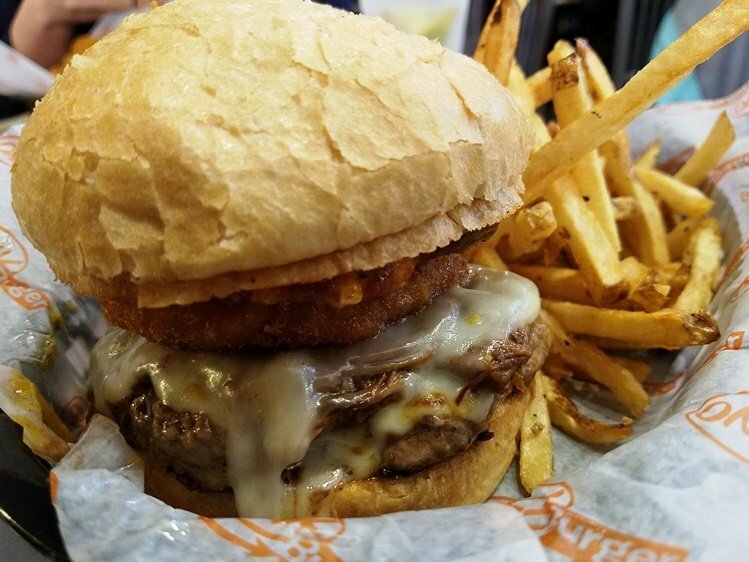 Most everything is made in-house at Bull City Burger, the owner Seth, is very fussy about the quality of his wares. Bull City Burger & Brewery is also family friendly with a play area in the back for children. COPA sits in a prime location at Mangum and Main Street, about as close as you can get to DPAC. But beyond its great location you’ll find a delicious menu of classic Cuban cuisine along with a contemporary and open dining room. 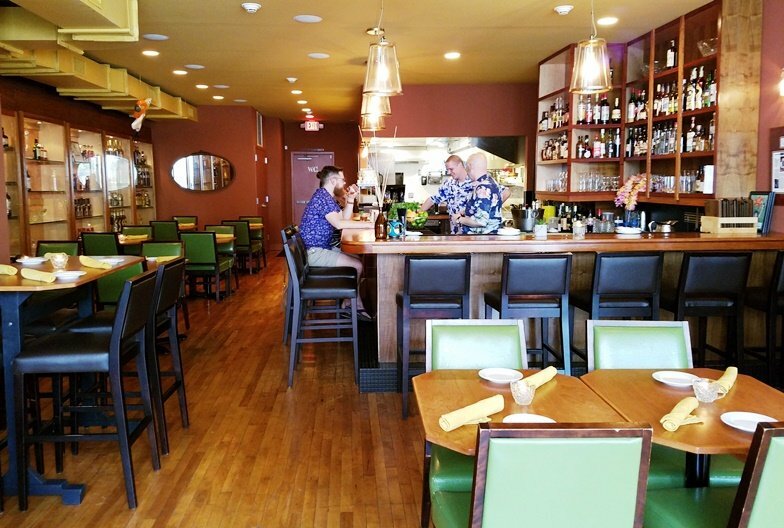 Inside COPA, the pea green dining room, stencils and interior design gives diners a feel of the Caribbean. 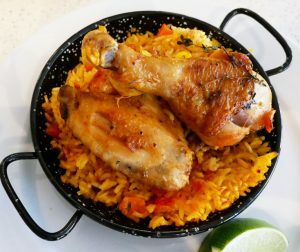 Try out the pan con chicarrones (bread with pork) or arroz con pollo (rice and chicken) for a taste of the Cuban island. Enjoy a refreshing daiquiri cocktail in a thick-cut crystal glass and you’ll be transported to 1920’s Havana. 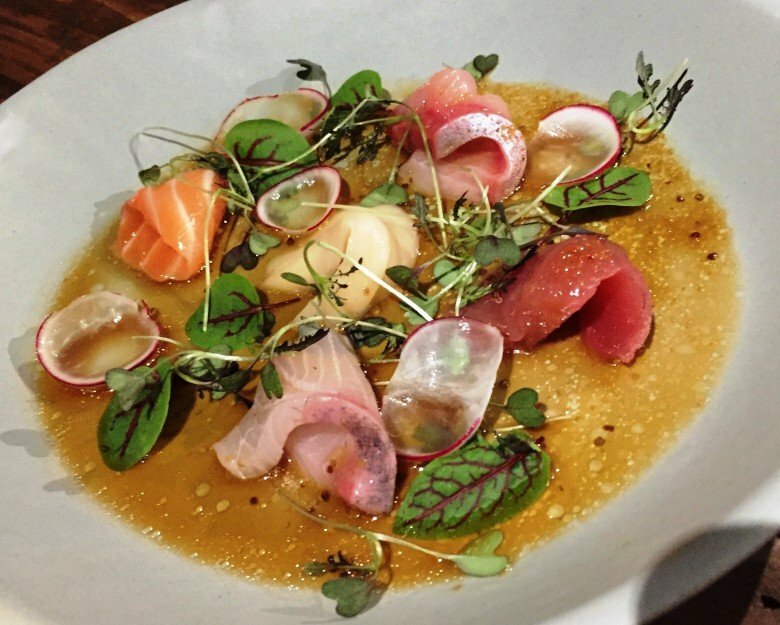 All in all, COPA is a very interesting and unique dining experience in the Triangle! While the name is quite a mouthful, Jack Tar and the Colonel’s Daughter keeps things pretty basic a modern diner. But it flips the concept on its head for Durham diners, offering up a super modern wood-paneled dining room along with spun up diner fare. Enjoy poutine, banh mi and Sichuan peppercorn chicken along with the usual grill type eats. Jack Tar and the Colonel’s Daughter has a bit of a split personality with a more cozy bar and lounge opposite the main dining room. Don’t miss out on that space! Conveniently on Main Street, you’ll find the new Luna Rotisserie and Empanadas! 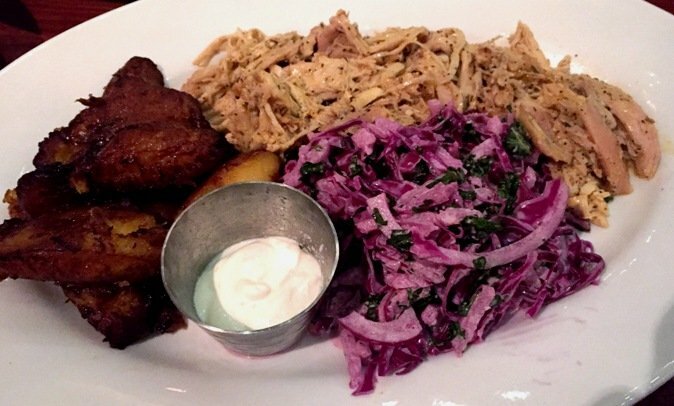 This hip and casual eatery offers up wood-smoked meats (chicken, brisket, pork) along with other Central American favorites at a reasonable price ($10 – $18 entrees). Inside the decor is warm and sultry, the delicious aromas of roast meat, will have you ready to eat. Add in a very nice bar and communal table and I’m pretty sure you’ll find Luna Rotisserie to be a great pre-DPAC show option for dinner. M Kokko is the brain-child of Chef Mike Lee and offer some eclectic Asian preparations focused around the humble chicken. 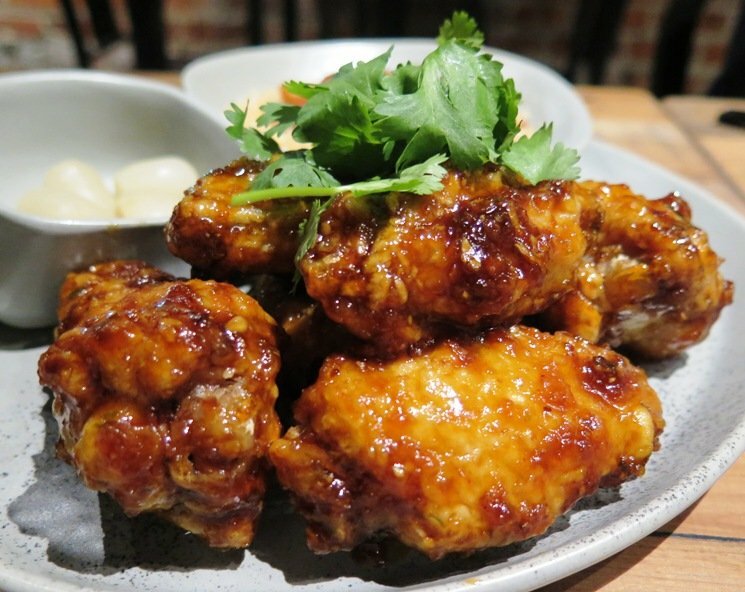 Choose from ramen, Korean fried chicken and more, all featuring their delicious bird. 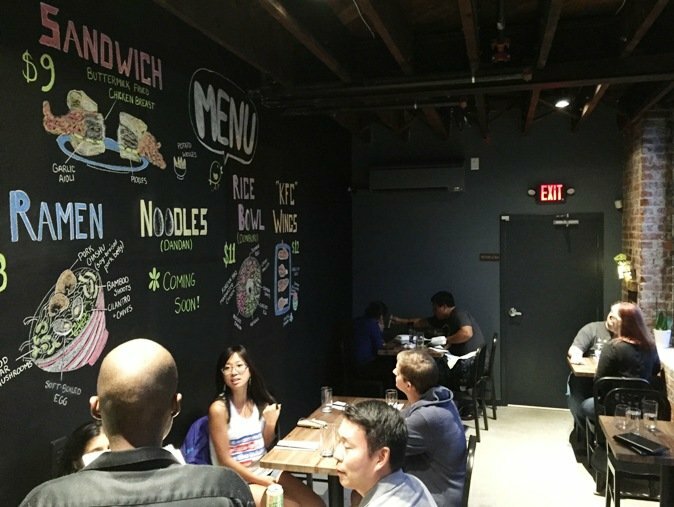 The space is small (15 to 20 seats) so it fills up quickly, keep your eye on the chalkboard menu on the wall to figure out your eats. You can find M Kokko on the back side of their sister restaurant, previewed below! And while M Kokko is quite good, M Sushi is great! This classic sushi restaurant utilizes some of the best and freshest fish around in their sushi, chirashi bowls and omakase offerings. The inside is simple and industrial sporting a long sushi bar, bare brick walls and concrete floors. 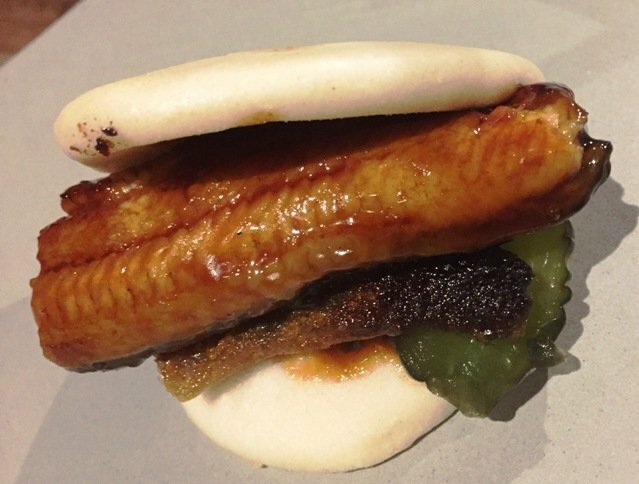 Don’t miss the barbeque eel buns here, served with some crisp salmon skin and pickle, they are fantastic. But you can’t go wrong with anything on the menu! Note, you’ll probably need a reservation to eat here in prime-time hours, most nights. 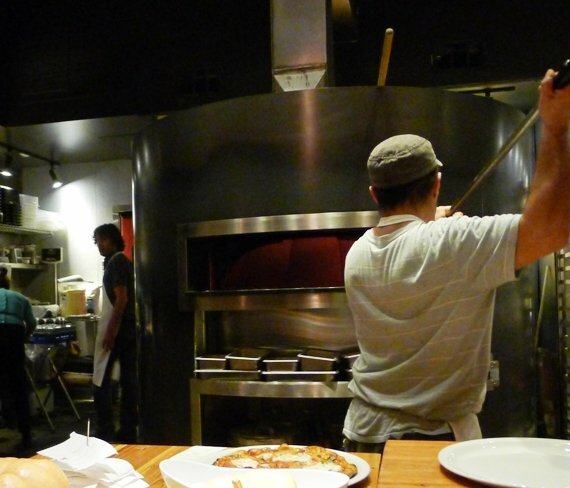 The interesting Pompieri Pizza sits in an old firehouse so it’s a large and open space. 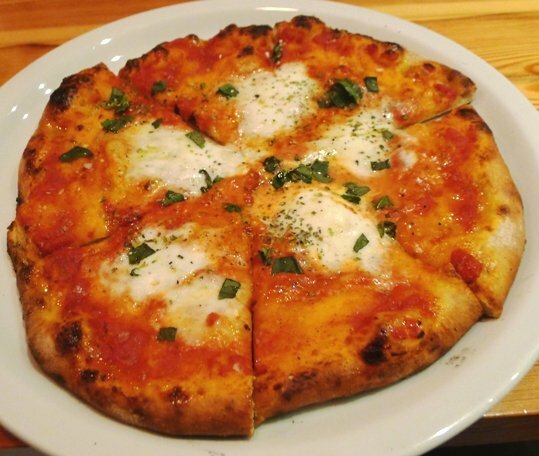 Pompieri specializes in Neapolitan-style thin-crust pizza, a classic Italian pie. Order in back at the counter, grab a soda or beer and they bring you your individual pie with shears! Snip away a slice that’s perfectly sized with some shears, the pizza is served unsliced here. I’ve tried their pork belly pie and name-sake Pompieri pie, both were excellent with a great chewy crust. 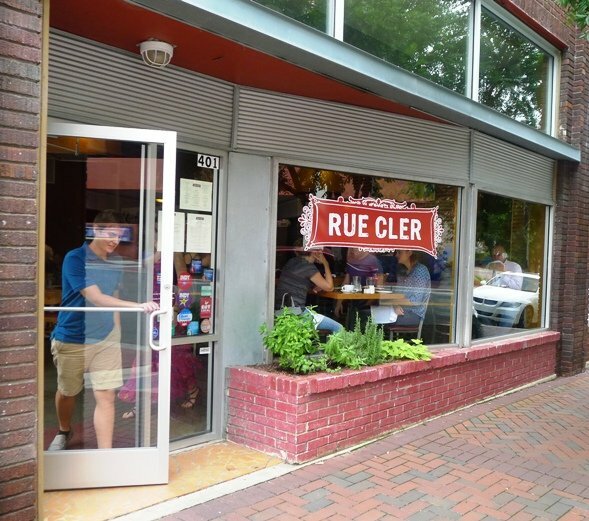 Another good dining choice would be Rue Cler, a solid French bistro with great service. They’ve also got a very affordable ($35) three course prix fixe menu, perfect for theater night. 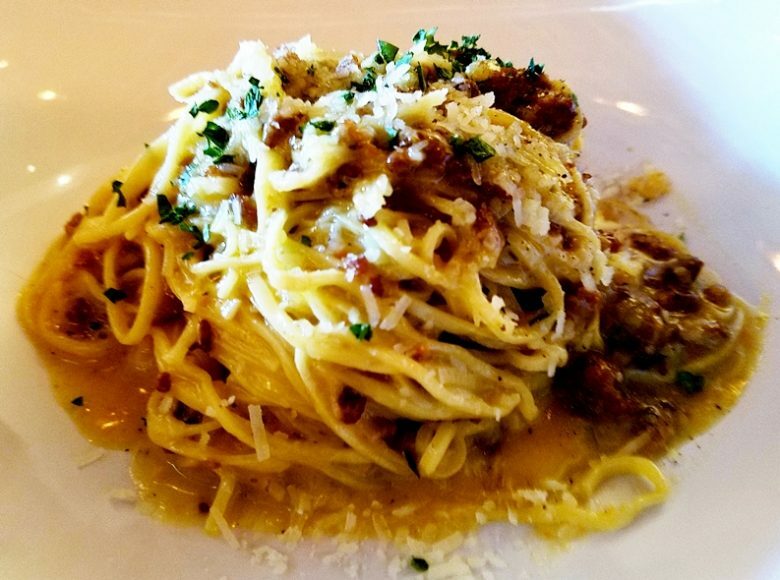 Mix and match from the seasonal menu or from the a la carte portion to your heart’s content. Recently I had a lovely lentil soup, braised asparagus and steak frites with bearnaise sauce as my prix fixe meal. Just keep the stiletto’s at home for ease of walking since Rue Cler is a bit further away off of Mangum Street! 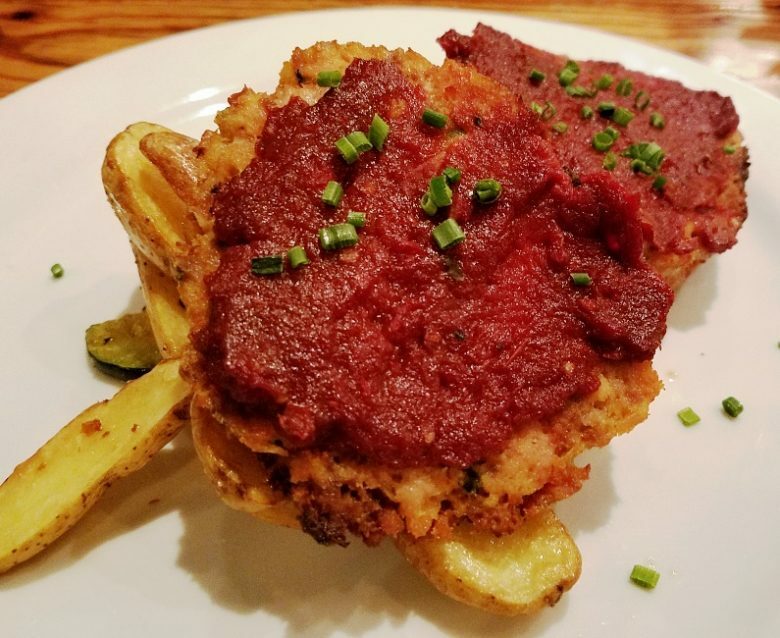 This DPAC dining post will take a look at some great restaurants in the Five Points area, also a short walk from DPAC: Cucciolo, It’s a Southern Thing, Mateo, Mothers and Sons, Pizzeria Toro, Toast and Viceroy. On the DPAC dining map above, you’ll find the restaurants profiled in this post colored in green. 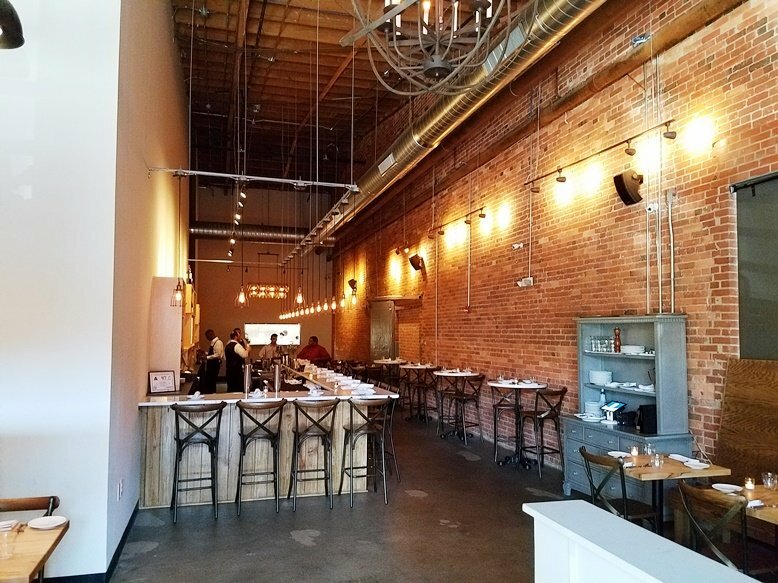 First up for great restaurants in the Five Points neighborhood is the newer Cucciolo restaurant. A spot for fine Italian food in a more sophisticated setting. The long and narrow space at Cucciolo is highlighted by a centerpiece bar perfect for single diners or couples. 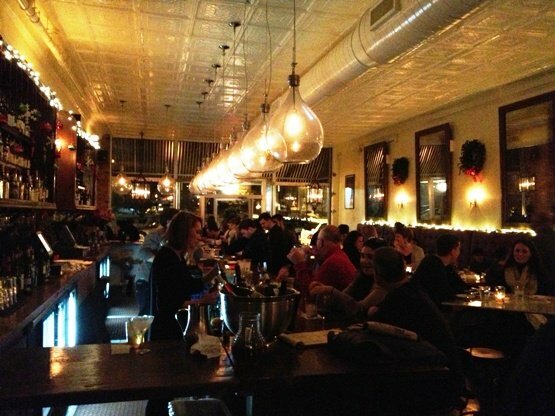 Ambiance is clean and a bit romantic with the dimmed lights here, perfect for the classic Italian menu. 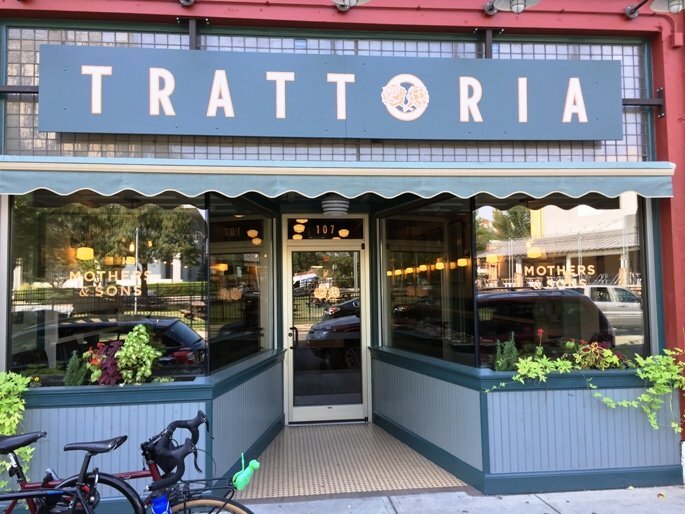 You’ll find a well-curated and shorter menu with some starters, pastas and entrees ranging from bruschetta, butter chicken, pasta carbonara and more. Prices are a bit higher than average but the food is well worth it! Reservations recommended due to the smaller dining room. 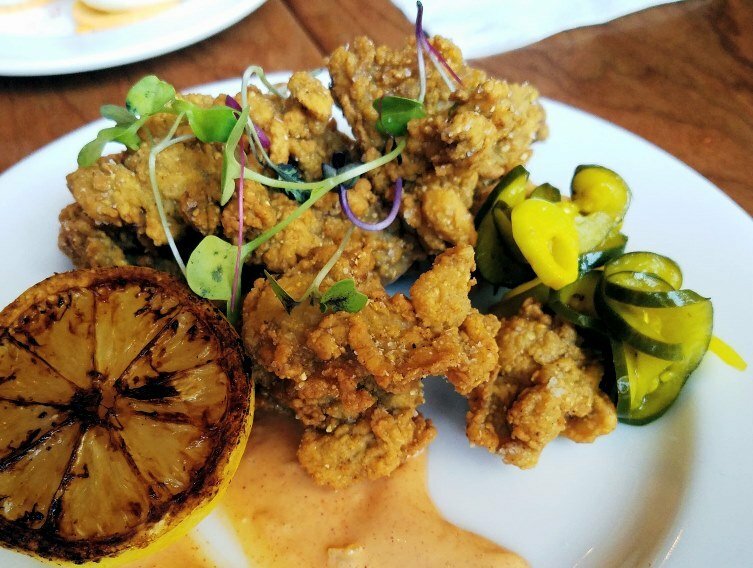 It’s a Southern Thing is one of the newer dining options on this list having opened up in late 2017. Blessed with a beautiful and large dining room along with very reasonable prices, It’s a Southern Thing offers up classics such as meat loaf, shrimp and grits, smoked wings and more. A fun options within walking distance to DPAC but a bit off the beaten path. Two hot dining spots in the neighborhood are located on Chapel Hill Street, Mateo for Spanish tapas and Mothers and Sons. Both follow a similar theme: fresh, ethnic eats in a super-hip, rustic environment. 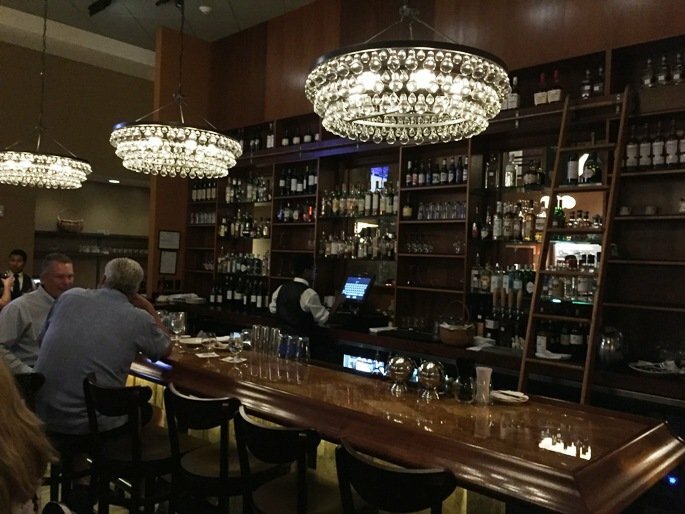 Mateo is the most upscale restaurant on this list, the type of place where you can get dressed up or go more casual. But that’s the beauty of tapas! You can come here to snack or build a full meal. And you can come as a pair or do it up as a large party, there’s plenty to choose from. Mateo puts out really authentic small plates such as pan tomate, braised oxtail toast and gambas ajillo. 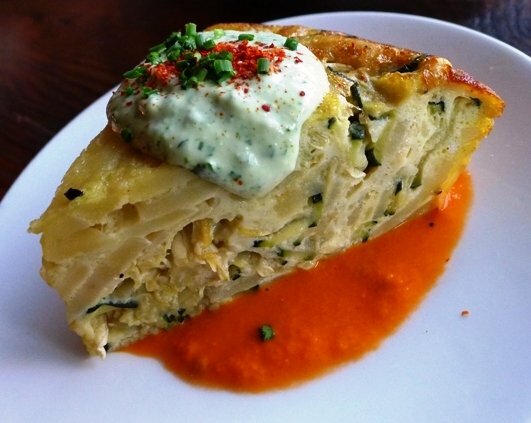 With a standard of decor that would fit into any major metro, Mateo does authentic small plates in a lively environment. Just be warned that the place can get loud, due to its busy crowd. 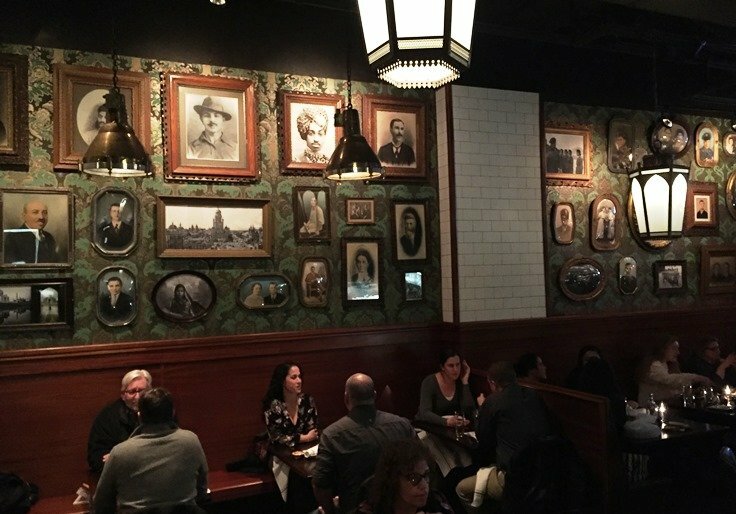 At Mothers and Sons you’ll find a bustling dining room with happy patrons and knowledgeable servers. 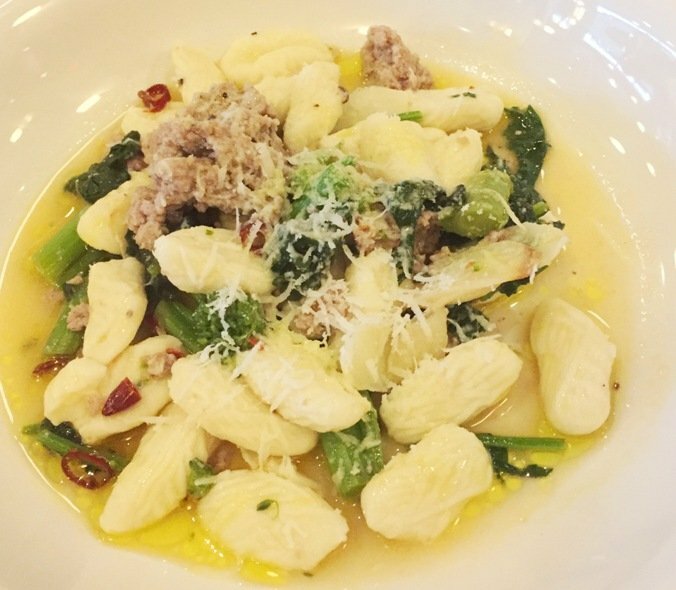 The menu is authentically Italian offering up hand-made pastas, roast meats and more. 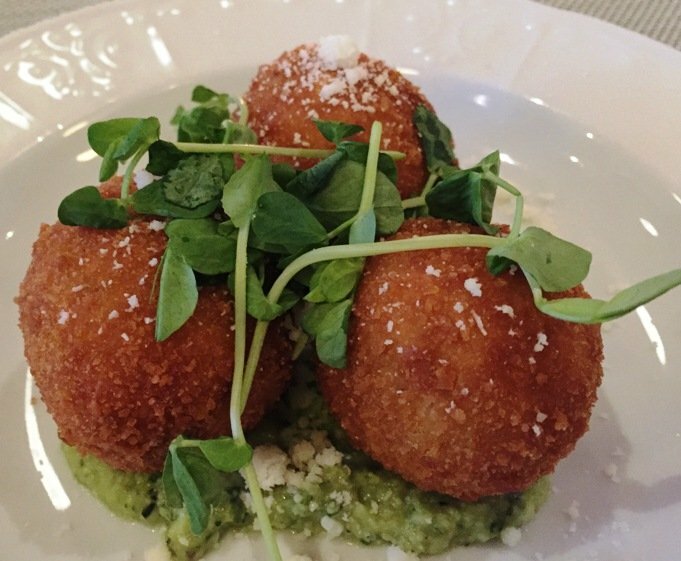 Love the crispy arancini here along with the gnocchi ala romana! And the decor here is wonderfully done, you will probably need reservations to eat here on most nights. 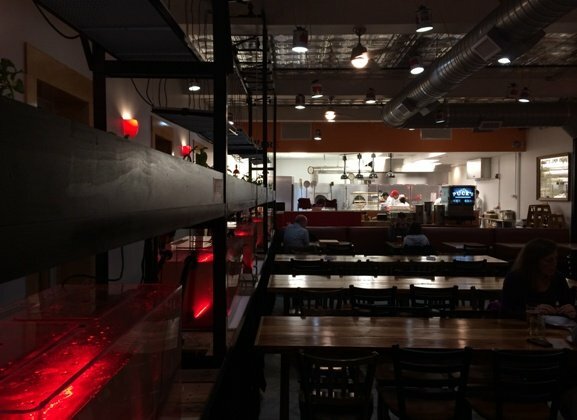 The relatively new Pizzeria Toro is currently closed but should re-open shortly. Serving up wonderful, neapolitan-style pizzas out of a showcase wood-fired oven, Pizzeria Toro had a great reputation for artisan pies. 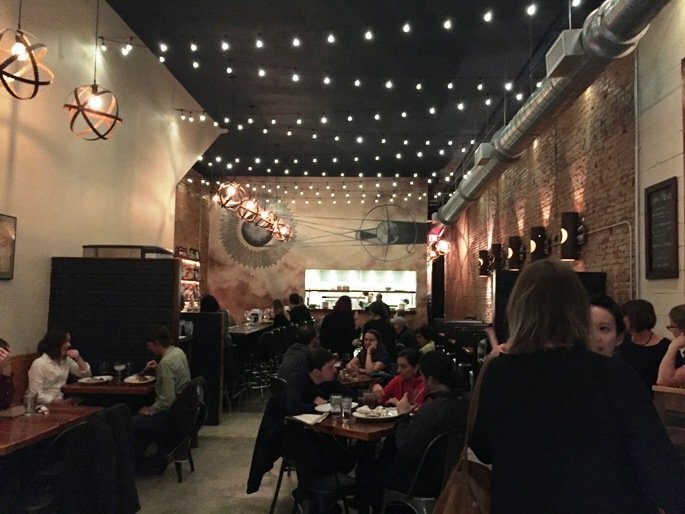 The crowd here was super-hipster and with fire-fly, Edison lights over each table, the space feels like it was pulled out of Williamsburg, Brooklyn. 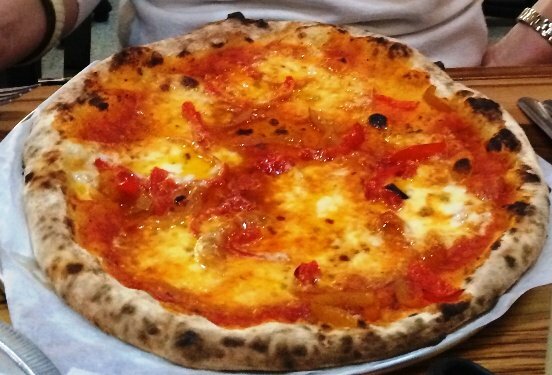 I’ve got my fingers crossed that Pizzeria Toro will be re-opening soon and I’ll let you know as soon as I find out! 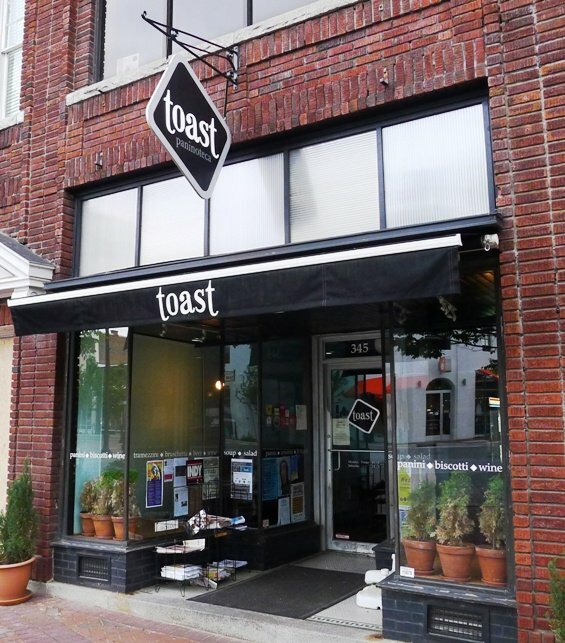 Further down on Main Street is the wonderfully inexpensive but delicious Toast. Think panini’s, crostini’s, sandwiches and soup. The ingredients are all locally sourced and high-quality, I’m in love with their chicken salad sandwich. Add in a beer or glass of wine and you can still walk out of the place for $15. An amazing deal for food this fresh, it’s just not a fancy meal out. Be sure to check Toast’s website before making any plans to eat there. It’s a small operation run by a lovely couple but it may be closed from time to time for family reasons. 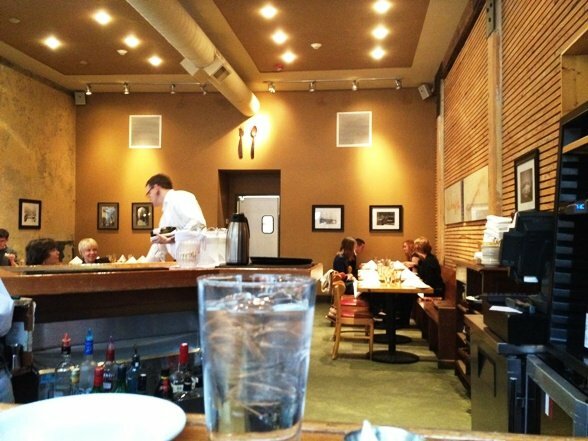 Toast is typically open until 8pm which makes it a great choice for a pre-show dinner with some vino! Next up on the Five Points list is Viceroy! 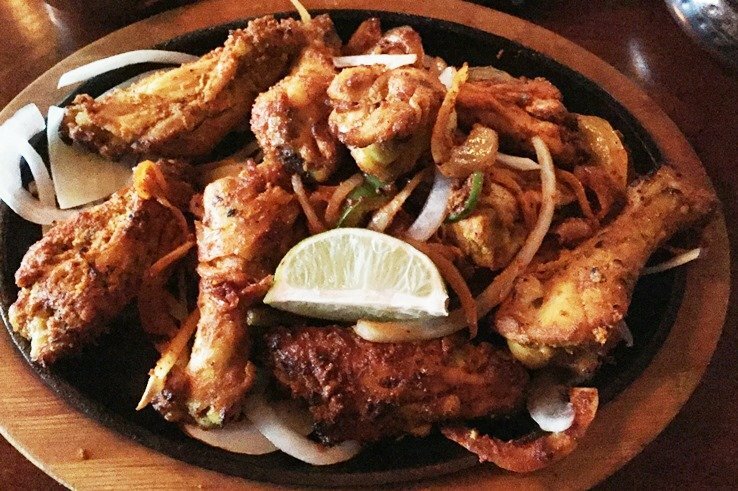 A super popular Indian-British gastropub serving everything from classic curries to creative fusion type dishes. I think the best deal here are the small plates ranging from gobi sukka (spicy cauliflower) to the pasties (crescent pastries stuffed with assorted fillings. The menu here changes pretty frequently but it’s always a lot of fun and spicy. What really makes Viceroy special is the rich and textured dining room full of polished wood, paintings and Victorian wallpaper. Reservations recommended here for most nights before a DPAC show. 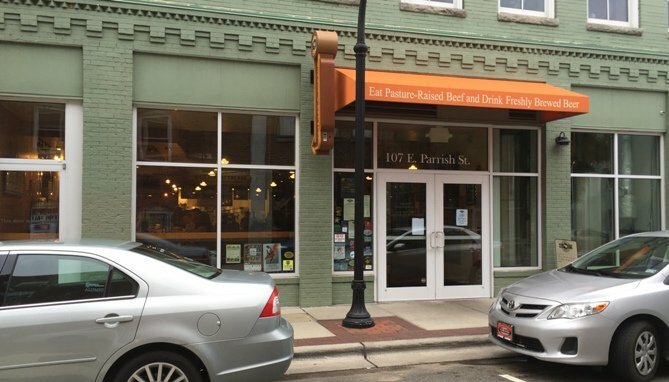 So these six restaurants near DPAC at Five Points are all great dining and restaurant choices. A quick 5 to 15 minute walk will have you back at DPAC and in time for the big show! The menu here is pretty traditional ranging from $18 to $60 and covering the usual array of grilled beef, seafood, chicken and pork. I tried a Angus beef ribeye which was a bit fatty and luscious all at the same time. 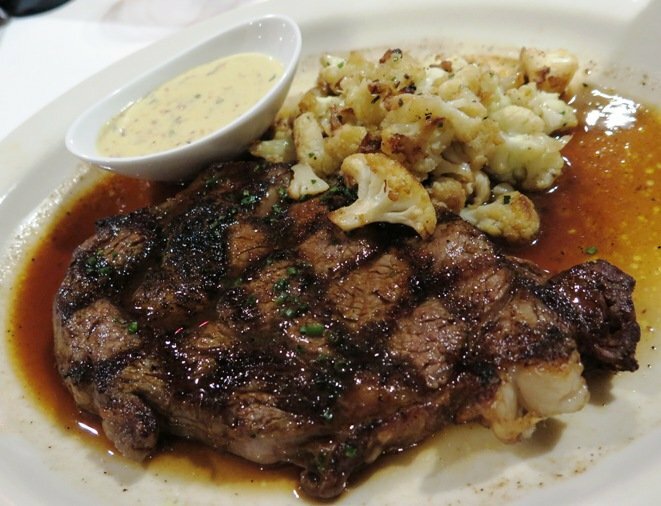 Along with the truffled cauliflower it’s a solid meal and an overall good experience here. 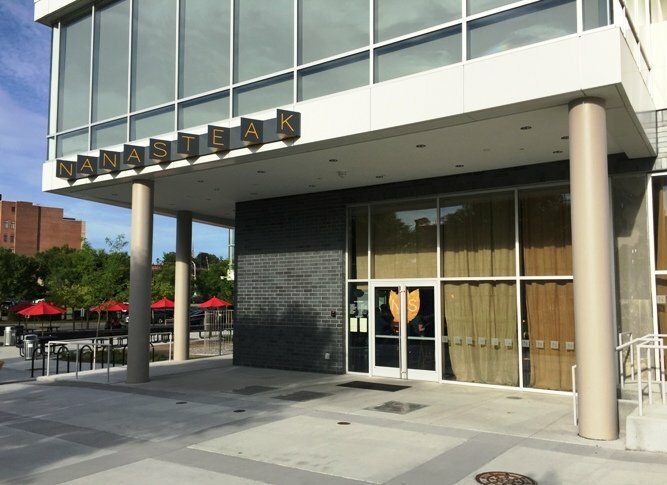 Given its proximity to DPAC and upscale environs, I suspect Nana Steak will soon become a favorite for the DPAC crowd! 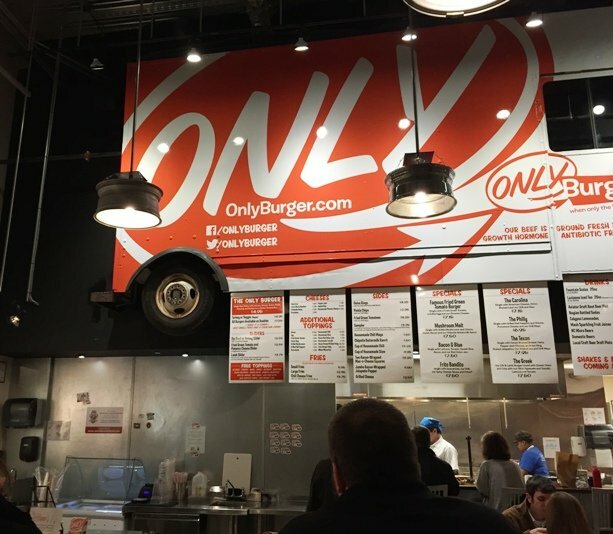 Given its food truck origins, Only Burger is probably THE most casual and family-friendly restaurant on this list. 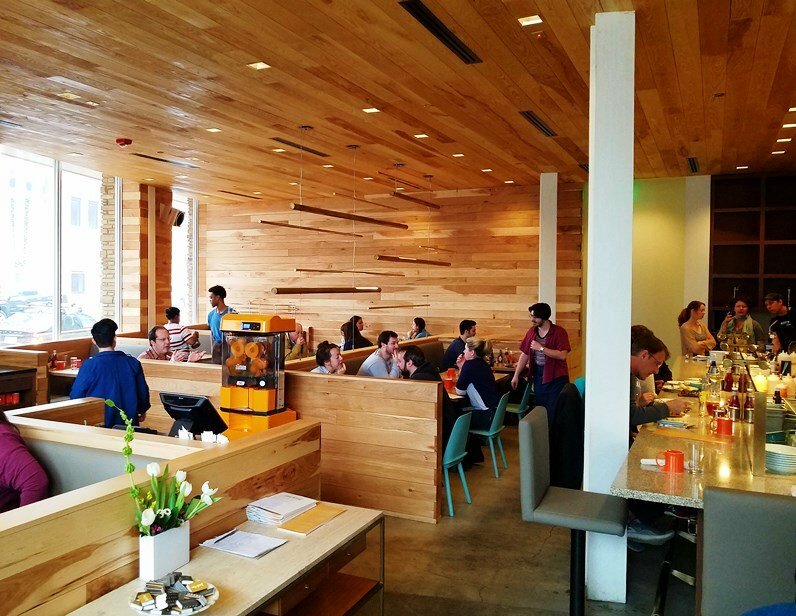 The bright and cheerful space is highlighted by a food truck hanging over the menu. Choose from a variety of great burgers made with free-range beef and hand-cut fries, keeping ordering simple. While the menu is simple, the food is delicious and you can’t get much closer to DPAC. 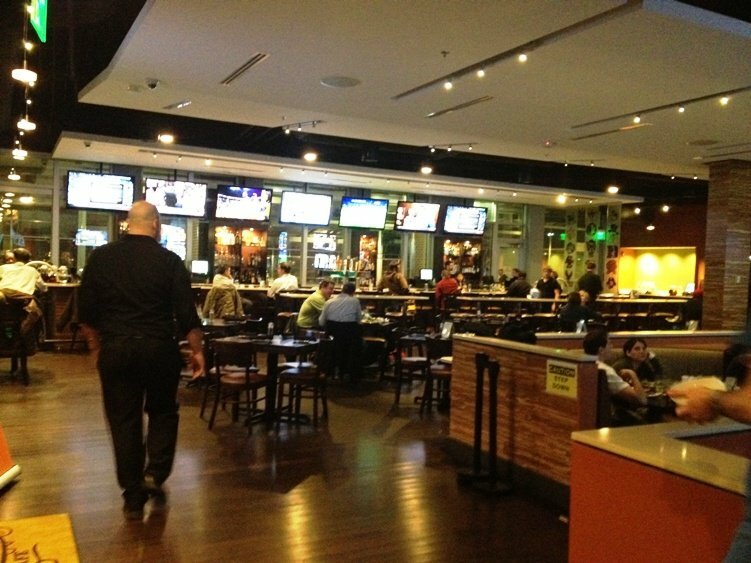 One super-convenient option that puts you steps away from the DPAC entrance is the lovely, Tobacco Road Sports Cafe. Serving upscale bar food at reasonable prices, you will definitely not go hungry here. Yes, they’ve got tons of televisions. Yes, they serve pitchers of beer. 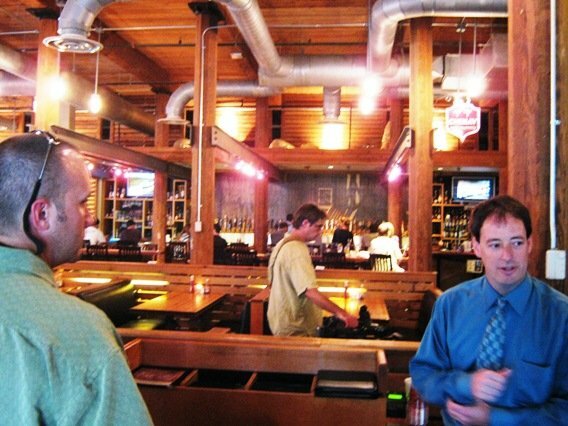 But Tobacco Road Sports barely qualifies as a sports bar given its upscale decor, full bar and solid service. Further down in the American Tobacco Center is Tyler’s Taproom. 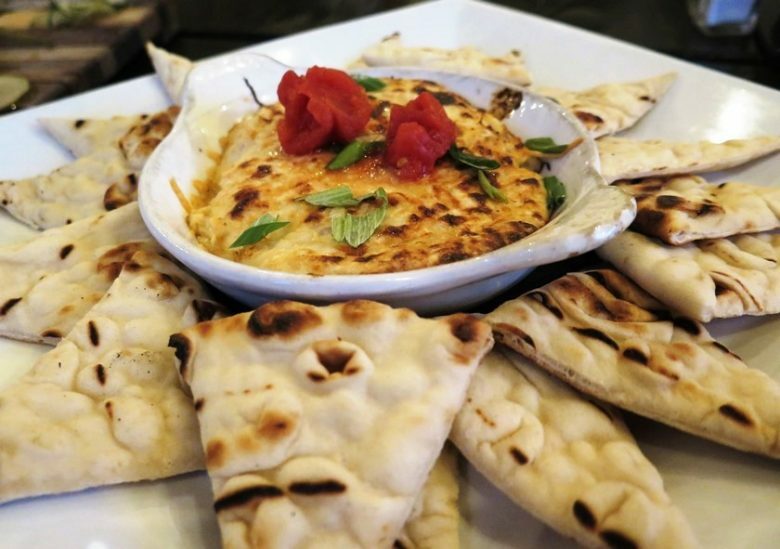 You’ll see their busy sidewalk patio and know you’ve found the place. 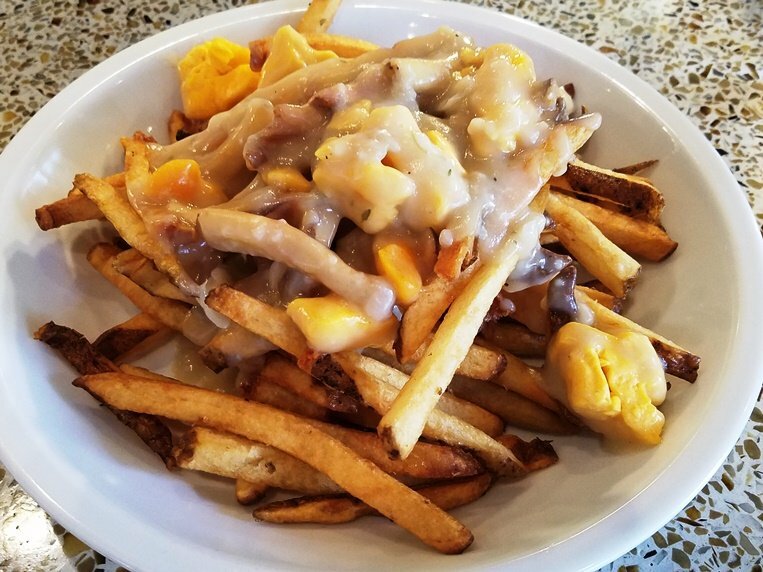 Tyler’s specializes in solid pub food along with a great selection of beers, They’ve got locations in Carrboro, Raleigh and Apex in addition to this Durham spot so they know what they’re doing. While I haven’t had a full meal here yet, I’ve done some snacks and beers along with food at other locations. 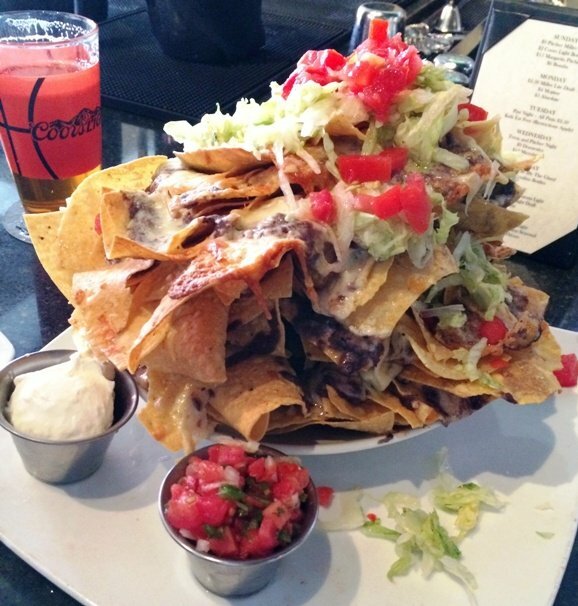 Their Carolina nachos and cheese-fries are to die for which is appropriate since they may stop your heart. Tyler’s is known for their great selection of micro-brews, don’t miss out on all the great local choices. Their garlic fries are a can’t miss but the bacon-parmesan popcorn just wasn’t that impressive. 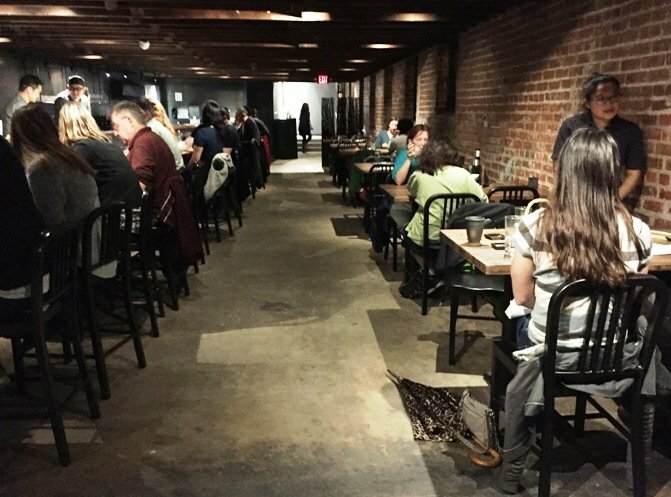 Just be aware that the place can get really loud with the open space and brick walls, not a great spot for a romantic or quiet meal. In the end it all just depends on your mood: fancy and frilly or tasty and simple! Getting in for an early dinner around DPAC is typically not that hard unless there’s something very popular showing. Just don’t go to the DPAC hungry because outside of some cookies, gelato, candied nuts and adult beverages, you won’t find much to tide you over for three hours! And it’s really hard to enjoy a show when you’re famished, take advantage of the great dining options in the area, bon appetit! Great web site. Very helpful for someone who is not familiar with the area. 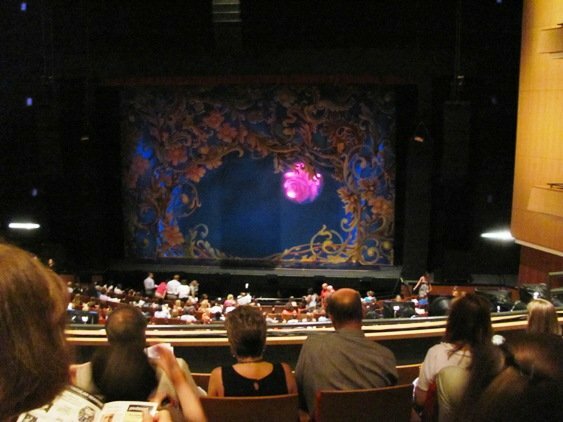 First time to DPAC. Dissapointed that there aren’t more hotels in the area.